We release the next set of Articulate Storyline ready-to-use content layouts to help budding developers and instructional designer. This template blends graphical representation along with descriptive textual presentation to enhance the learner's learning experience. The screen appears to be divided into collage of images on left side of the screen and on the right, descriptive text in provided text boxes. The combination of colours along with the placement of the text placeholders and the supporting images makes this template stand apart. You can leverage this template to present content like guidelines, course objectives, key learning points, procedural steps, etc. 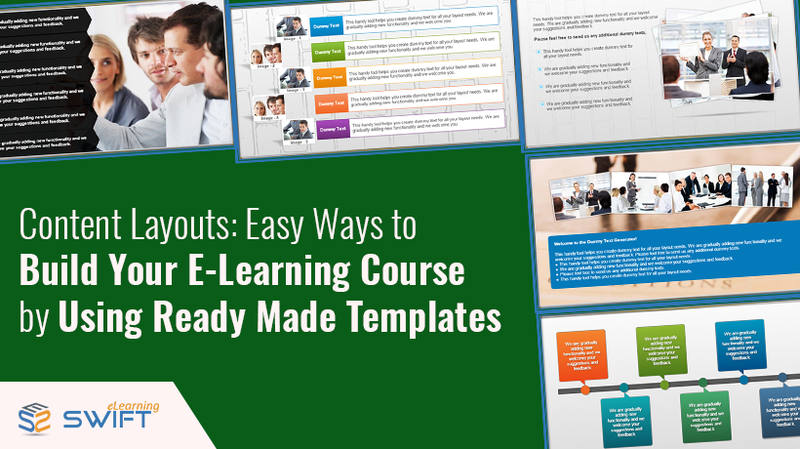 Moreover, this template is designed using Articulate Storyline and compatible with varied range of devices like desktop, mobile devices, etc.